Regular Lunchtime Events at Costa Coffee. Here we invite speakers to answer questions people are asking about the Christian faith or to share how the good news of Jesus has made a real difference to their lives. 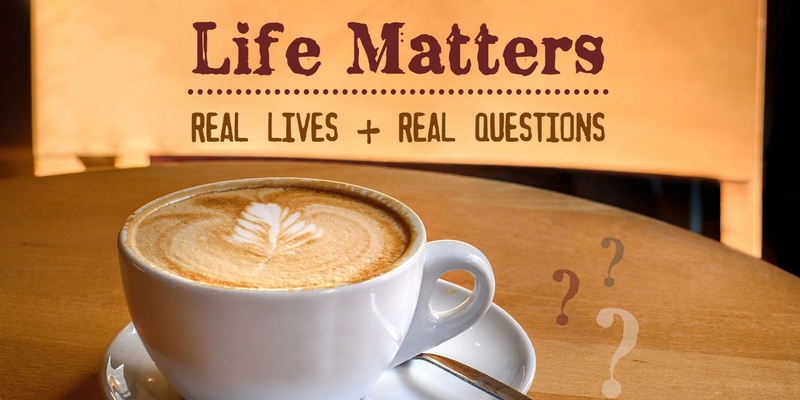 Engage: By asking simple faith based questions of our friends and family and those we meet on the streets in the town centre, we hope to listen to the questions people are asking and feed this into our Costa Events. Just Looking: an informal opportunity to Explore the bible with its good news of Jesus and wisdom from God for living to please Him. The Life Matters team meet to Entreat and Equip: a chance to pray, plan, and train in evangelism together.